Comments: Used - Acceptable 0th Edition Some pages are water stained. Choose EXPEDITED shipping for faster delivery! Junie B. is the bestest spier in the world. That's 'cause she has sneaky feet. And her nose doesn't whistle when she breathes. But guess what? Junie B. might be real sneaky. And real peeky. 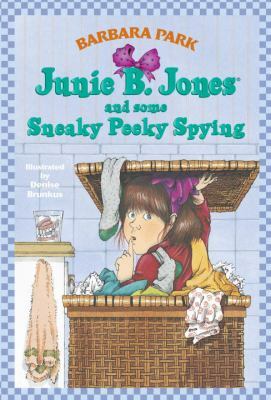 But when she spies on Mrs., she could get into real trouble!Park, Barbara is the author of 'Junie B. Jones and Some Sneaky Peeky Spying' with ISBN 9780679851011 and ISBN 0679851011. Loading marketplace prices 204 copies from $0.01 How does the rental process work?